Right click the address bar. 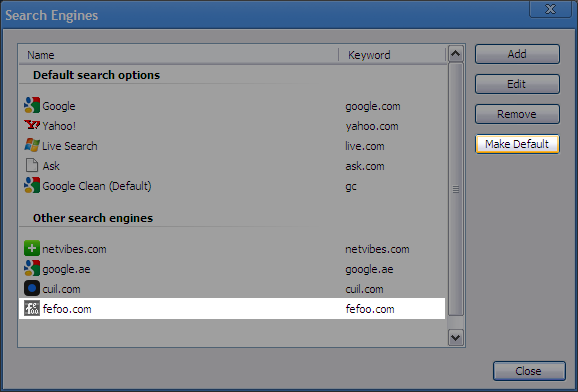 Select Edit search engines.. 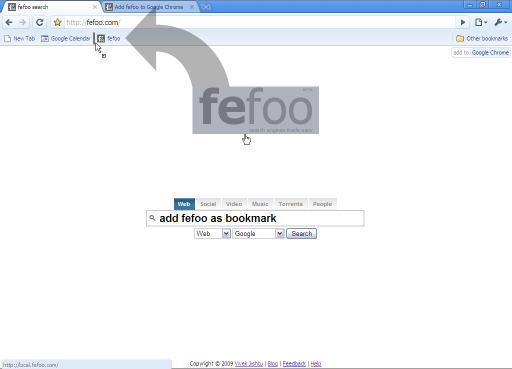 If you don't see fefoo.com in the list, click here to add it now. 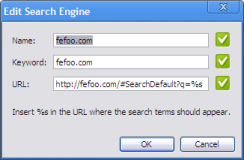 To add fefoo as a search provider click on this button. Click OK when this dialog box* appears and make it the default by following the previous step. *Incase no dialog box appears you already have fefoo installed. 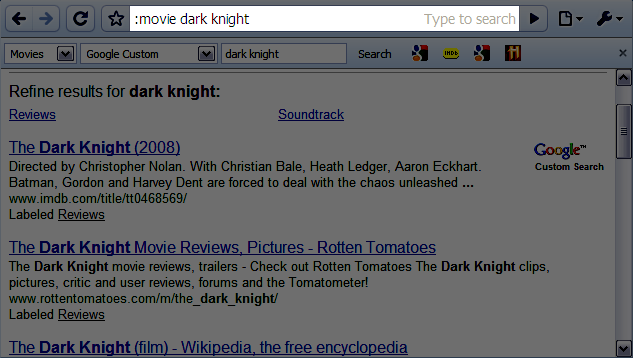 Try a command search to see if fefoo is working, search for ":movie dark knight". If you search without a command, google search will be performed. If the bookmark bar is not visible click Ctrl + B to make it visible.